The course comes with three DVDs (3 hours video lessons) and a 150-page binder of worksheets and complete sheet music. Each pattern is demonstrated in detail with popular songs. The downloadable version is available. I am an 80 year old who has played several instruments by ear for many years. I can pick out a song and chord along with relatively simple chording. My main instrument for years was guitar but I have developed an osteoarthritis that prevents bending some key fingers. I discovered that I could play piano fewer problems. I like your tutorials because they show ways that I can play richer versions and much better chording. I like Piano Mother Yoke Wong’s approach to playing. She is obviously a gifted player and teacher. My family loved the rendition of “Fur Elise” presented by Piano Mother recently. These courses are worth the time and money and are fun. Thank God for creating a very good & talented person like Yoke. Yoke is the answer for my prayer. If anyone wants to be talented like Yoke; please, do not hesitate to get around her such as: email, phone, and order her products. Why? for she speaks very clearly, and the demo is easy to understand; for example: first, Yoke plays at the regular tempo, then she plays slowly. She shows you the chords, the fingers etc... and you can see, understand and do it. Yoke tells you all the techniques, tips, & secrets that other instructors might never tell you. 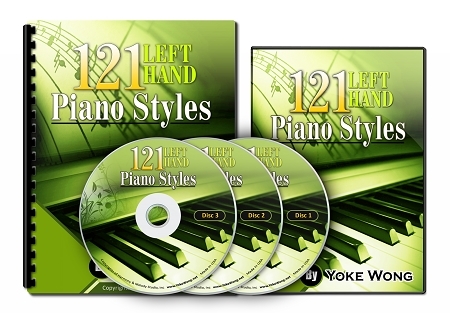 To me, Yoke’s courses are very convenient and excellent for those who want to learn piano online. I used to play sounding like a monotone but I seem to be able to express myself more. I can tell you that my piano playing did improve quite a bit, thanks to your courses. The old pieces I used to play (from notes), I can read faster now, play with emotion and I've enjoyed and appreciated playing my old piano pieces more than before. I used to play sounding like a monotone but I seem to be able to express myself more. I usually do not record my playing because I get nervous when I do and make a lot of mistakes. I like to play alone knowing I don't have an audience (maybe just my mother, ha, ha!). I have not gone to that level yet. Anyway, I do want you to know that you've really opened my mind to understanding and appreciating music theory and what it involves to play the piano. If not for your explanations, I will not be interested in improving my piano playing because I wouldn't know where to begin and how to improve. You have really shed light to me and to others who have bought your lessons. Thanks again and I'm so happy I discovered you on the web. My husband has already heard my playing improve with new confidence and skills. I bought several courses, and each one is comprehensive and structured from presenting beginning concepts in small bites, just as needed. This allows the user to quickly begin practicing the material and applying the concepts. The improvement in my playing and understanding of the structure of music and its application has been astounding. Several approaches in your program accelerate success. They are the video portion of the lesson, where the filming concentrates the visual field on the keyboard, with clarity and quality. The books that accompany the DVDs and the CDs are presented in distinct pages with no extraneous material on the page. There has been no attempt to conserve pages by overlaying instructions that make other programs I have looked at confusing. Yours are very clear and simple. The concepts are immediately apparent. I have been playing piano for over 40 years. I have studied classical seriously for over 9 years, with a teacher who introduces challenging, novel approaches and participated in national music federation exams and solo/repertoire. This was an excellent decision. My husband has already heard my playing improve with new confidence and skills. My classical pieces are also easier, since the benefit has spilled into that area of concentration, which I am most connected to. Thank you. I have been enjoying your Piano Tips and have been practicing them also. I find that I really need to be more determined to practice regularly because your Courses are great!